The J.K. Spruce plant, left, is seen at the entrance to the CPS Energy Plants, on Wednesday, April 25. The coal-fired Deely plant will be shut down but the Spruce plant will remain open. 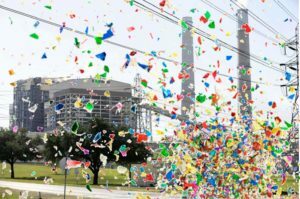 On Dec. 31, CPS Energy will ring in the new year by shutting down one of its two coal-fired power plants. Situated at Calaveras Lake in the deep Southeast Side of San Antonio, two looming coal plants sit like angry giants. From their bodies, streaming clouds of polluting smoke rise. This smoke, filled with microscopic pieces of poison, finds its way into everything: our land, our air, our water and our bodies. There is no crack too small, no resource too protected, no person too healthy to evade the poison that emits from these behemoths. The poison from these coal plants greatly contributes to the facts that San Antonio leads the state in child hospitalization rates from asthma, is increasingly getting hotter, is experiencing more and more drought, and has air so polluted it no longer meets federal standards for air quality. In general, coal contributes to an array of intensely harmful effects on public health, such as increasing chances of cardiovascular disease and the release of mercury and lead, which deteriorate the nervous and immune systems. The good news is JT “Dirty” Deely will soon no longer be able to release poison. There is a soot-colored line in this monumental news: The Spruce coal-fired power plant is staying open with no shut-off date set. While Deely has a total capacity for energy production at 932 megawatts, Spruce’s total capacity is 1,336 megawatts, and it runs more often. In a report released in 2013 called “America’s Dirtiest Power Plants,” Deely didn’t make the list, but Spruce came in 67th place. While one polluting giant topples, another will continue, without any stop in sight, as confirmed in CPS Energy’s “Flexible Path” energy generation plan that projects burning one of Spruce’s two units into the 2040s and possibly even longer. However, despite the continued use of Spruce, a celebration is in order. It is a celebration that grounds us in the accomplishments of now, while positioning us toward the horizon of progress still to be made. At this horizon stands a world with no coal plants and no natural gas infrastructure. A world where children never struggle to breathe, where workers have secure jobs in safe settings, where the planet and our bodies are free of pollution from fossil fuels. The timeline to reach this horizon is urgent, but it is a horizon that is within reach and comes with assurance of better and healthier lives for all life on our shared planetary home. The Climate Action SA coalition — which consists of dozens of environmental and social justice organizations, including Public Citizen — is throwing a party to celebrate this amazing moment. Come ready to eat, drink and dance! We are coming together to celebrate cleaner air, water and land, for better health for the people and environment of San Antonio and the surrounding areas, and to start to realize the better world we know we could achieve through a rapid, just transition to renewable energy. 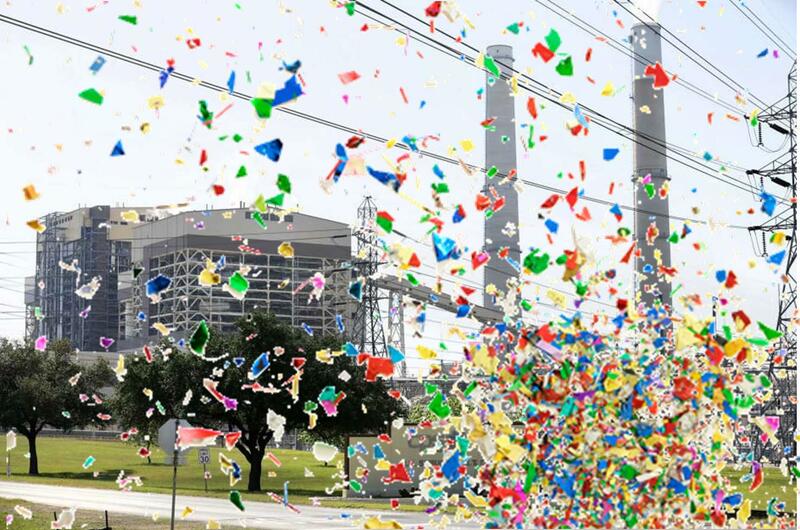 The Dirty Deely Coal Plant Shutdown Celebration will take place Dec. 15 from 4 p.m. to 7 p.m. at Galleria Guadalupe, 723 S. Brazos St., in San Antonio. Click here to register to attend this event. Briauna Barrera is an organizer with Public Citizen and a member of Climate Action SA coalition.